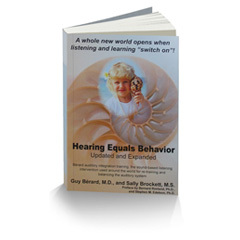 The following books and journal articles may be of interest if you wish to read more about auditory integration training and related topics. 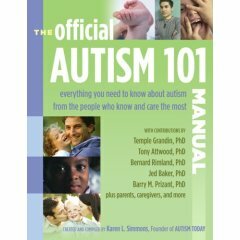 Treating Autism, Stephen M. Edelson, Ph.D., and Bernard Rimland, Ph.D.
Children with Starving Brains: A Medical Treatment Guide for Autism Spectrum Disorder, by Jaquelyn McCandless, M.D. "Auditory Integration Training and Autism: Two Case Studies"
"Auditory Integrative Training From a Sensory Integrative Perspective"
by Sheila Frick, OTR; Nancy Lawton-Shirley, OTR. Sensory Integration - Special Interest Section Newsletter, Vol. 17, No.4, Dec. 1994.
by the American Occupational Therapy Assoc. Inc.